The Landscape Business Coach: 6 Reasons That Your Business Should be "Email First"
Having a regular mailing list for your clients and potential clients can be very beneficial to your sales. 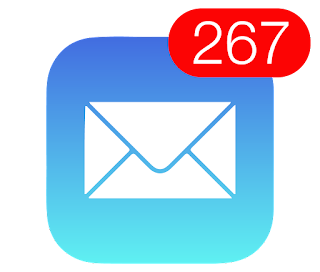 I've found that keeping my business "Email First" is a huge success. With this Email First model, 90+% of your client communications is via email. This diverts several client side issues including the infamous "you never answer your phone!" or the fun game of phone tag. With emails, your clients are giving you more time to get back to them. I usually answer my emails in the evening. The benefit of this is most of my clients are home relaxing, and receive my email so they can read it at their leisure instead of taking time out of their day to talk to me on the phone. With email, you're able to archive your emails that way nothing is forgotten what is said like what's possible on the phone. Most new business owners are also the operators. You're in the field and don't necessarily have a notepad readily available, so email is good as gold for us. Think of your email as a "to do list" and you'll find that it runs a little smoother. We all face it. Your client calls you and reaches your voicemail because you're on the mower. Chances are after a time or two of this, they're going to be a little mad. If you primarily communicate with your clients via email, they're allowing you more time to respond. Reply at your lunch break or at the end of the day. You'll find successful results with most of your customers. Calls and voice mails have little record of what was actually said. Emails create a log of what was sent in a threaded conversation. This way if there's confusion, you'll easily be able to go back through the email and correct the confusion. Most of our customers work in an office environment. Every office job I've seen has email and a LOT of it because it's the primary means of communication. I began to make it a habit to get my client's personal and work email. I'll send it to their personal and carbon copy their work email. They'll not only see it faster if they're at work. You'll cover the bases if they're off at vacation. Try explaining a complex and very detailed estimate to a customer over the phone. You aren't able to expect your client to remember all of the details. Email allows you to organize everything so you can lay it out to your client clearly. You can even include pictures, links, and files through email. What isn't great about it? I regularly use MailChimp to send focused mass emails to my clients, potential clients, and anyone else that signed up for my newsletters. This has created a better engagement with my clients which turned into more sales! Simple reminders that it's getting to be time to aerate and over seed or freshen up the landscape beds with mulch through email can turn into $1000's in extra sales over a 10 minute email. That return on investment is huge! First, get all of your customer's emails. This will take a little time, but usually less than a month if you're going slow. I sat down for a few hours one Friday evening and called to get them. I got most, then the next Friday I did the same and got the rest. While you're on the phone, explain that they'll be able to reach you much quicker through email because you're busy in the field. There will be the "older folks" that don't use email, but I'll explain that in a few paragraphs. Next I created a voicemail explaining that I was busy working on a client's lawn/landscape and said that the best way to reach me is by email. I still encouraged them to leave voice mails, but when I call them back, I make sure to also send them an email so they can get in the habit. After doing these simple steps, practice at mastering emails! I usually read and answer them three times a day, before I start work, at lunch, and at the end of the day. Getting into a rhythm will ensure that you don't lose an email through the cracks. Continue answering your phone. After a little while, most of your clients will be communicating with you via email and most of your phone calls will be from prospective clients! Once this is the new trend, it's not so bad interrupting a job for a new client. Back to the older demographic that may not use email. There's two ways to handle this. I've used both depending on the situation. Some will be okay with playing phone tag. If they are, I would continue the game. If the small amount of people that don't use email take up too much time with phone calls, then simply drop them. It's completely up to you as to how to handle that. As a final note, this blog is only for email, not texting. Aside from unprofessional, you can't exactly archive and thread your conversations like you can in email. I do have just a few clients that only text, so I make it work. If you have many forms of communication that your clients use, there's a greater chance that you'll miss opportunities to make sales. Funnel existing clients to email and you'll find that it solves the problem. Then your phone will be free and most calls will be from potential clients! Do you do this and have a way to make it better for everyone? Comment below!